RELIANCE JIO WILL LAUNCH ON SEPTEMBER 5. THIS WILL BE THE PREVIEW LAUNCH. Till December 31, as part of the welcome offer, there will be no charge on voice, data services on the Jio ecosystem. As widely expected, Reliance Industries chairman Mukesh Ambani has sounded the bugle for the company's 4G services at the company's annual general meeting (AGM) on Thursday. Ambani called the company's 4G LTE network - Jio - the largest in the world. 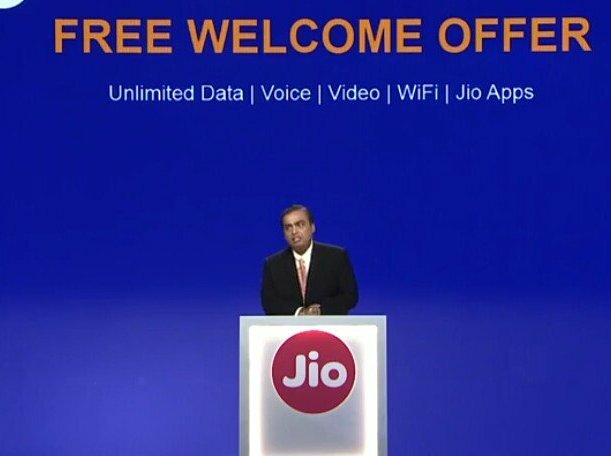 Under it's welcome offer, all Jio services including voice, apps, and 4G LTE data would be vailable free of cost to everyone from September 5 to December 31, 2016. Jio network not only supports 4G but is 5G and 6G ready too.